Following a career in education, Mary Dalgleish qualified as an aromatherapist at the Tisserand Institute of Holistic Aromatherapy in 1999 and later worked there as a tutor of anatomy and pathophysiology, as well as a student mentor. Her aromatherapy studies sparked her interest in the holistic approach to health and well-being and since then, she has completed a variety of further training courses including reflexology, Indian head massage, natural face lift massage, ayurvedic massage, ear candling and numerous CPD courses. Having experienced the benefits of holistic therapies and healthy lifestyle choices in improving and maintaining her own health and well-being, Mary loves to share her passion for holistic therapies and healthy living with her clients and students. Mary enjoys networking with other professionals and finds it a useful and fun way to expand her knowledge, share ideas and gain new clients. Mary holds a master's degree in education and has been teaching anatomy and pathophysiology on complementary therapy courses since 2000. She also teaches continuing professional development courses in natural face lift massage, Indian head massage, Ayurvedic facelift massage, Ayurvedic foot massage and ear candling and was a Commended Tutor of the Year in the FHT’s 2012 Excellence in Education Awards. Mary has co-authored two books: ‘Indian Head Massage – the Essential Guide’ and ‘Ear Candling – the Essential Guide’. She currently maintains a busy private therapy practice in south west London and combines this with her writing and teaching work. Mary supports several charities and volunteers as a 'personal peace education' facilitator at a London prison. Mary’s favourite quote is ‘Find a job that you love and you’ll never have to work a day in your life’ - she vowed that one day she would feel this way about her job and can now honestly say that she does! 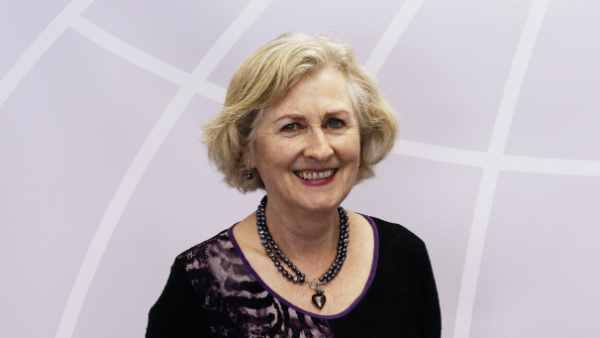 Mary is proud to be a member of the FHT and is honoured to represent the interests of holistic therapists as Vice President of the FHT's International Council of Holistic Therapists (ICHT).